I’m worried about this match. It can either be really good, or really, REALLY bad. This depends largely on how well the match is laid out to protect Rowan, and which Big Show shows up. If Big Show brings his working boots and decides it really wants to make Rowan as a singles star, this can be really great. But for me, that’s a big IF. 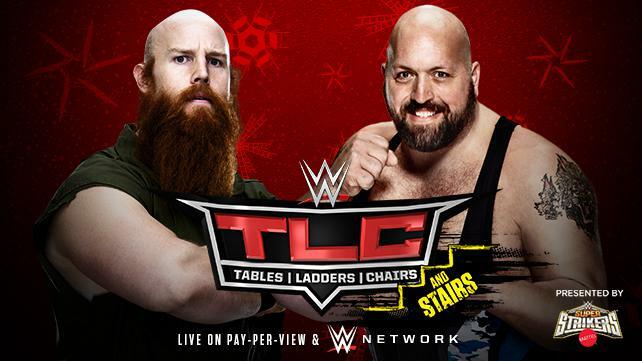 I’ll be angry if: The “stairs match” stipulation distracts from the fact that you have two HUGE men in the ring, one who has literally spent his entire career working under names that reference his incredible stature. The crowd cares more about lame stairs-based attacks than it does the story being told. I’ll keep my cool if: The stairs shenanigans are kept to a minimum, and Rowan uses his newly-discovered super-intelligence to defeat the Big Show. What I’m expecting: Rowan looks alright in a match that relies too heavily on a pretty lame stipulation, but Big Show steals a win to continue the feud. Yes! Yes! Yes! We’re Taped!